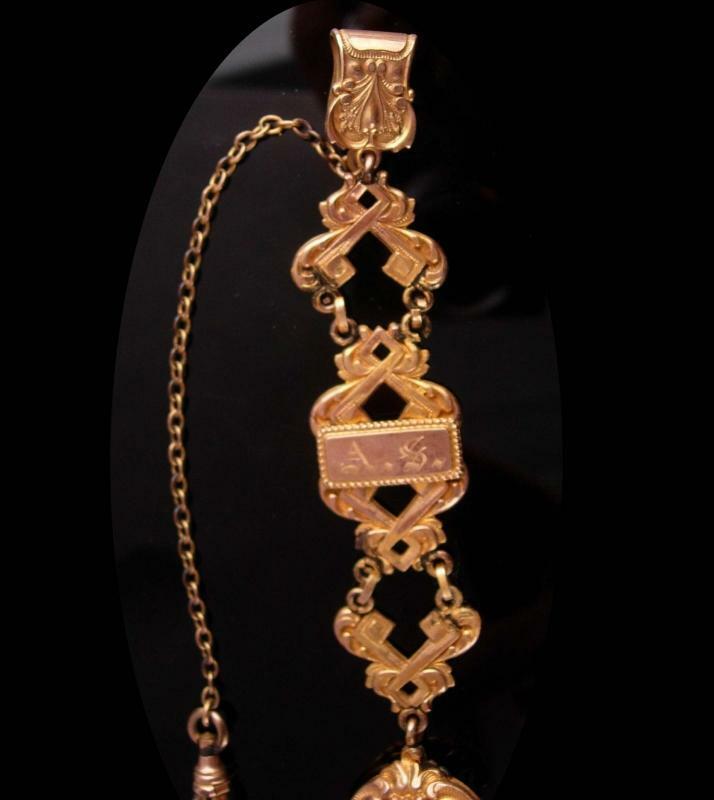 A fabulous antique watch chain that is well over 100 years old. 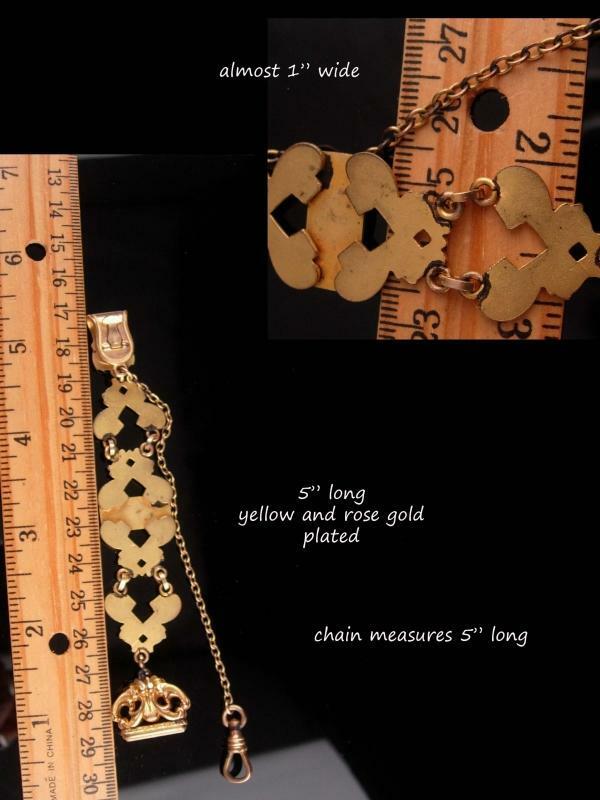 The wide mesh chain is 5" long and almost 1" wide with fancy tops and bottom. 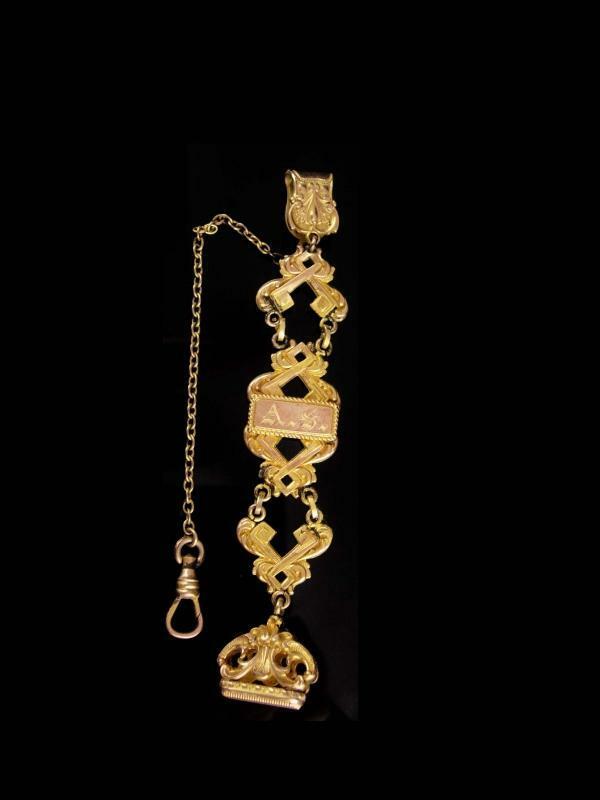 The extra watch chain is 5" long from end to end including the clip. 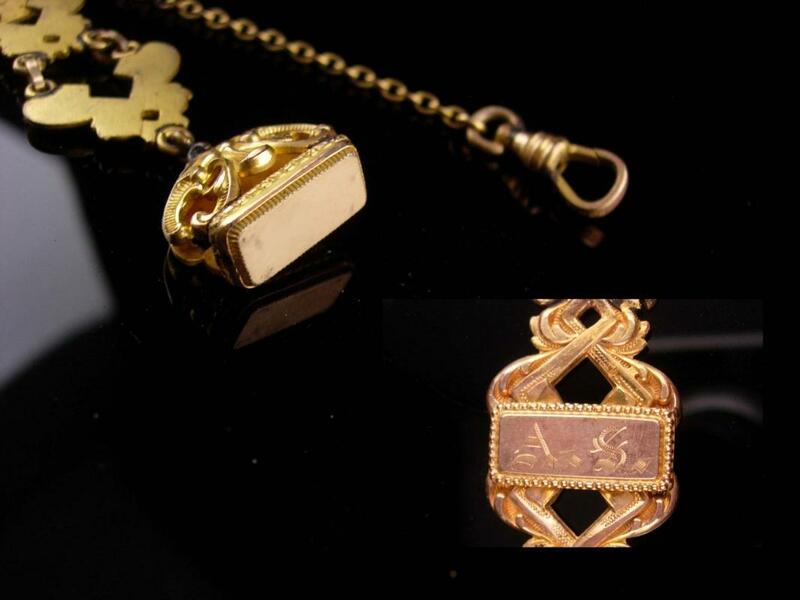 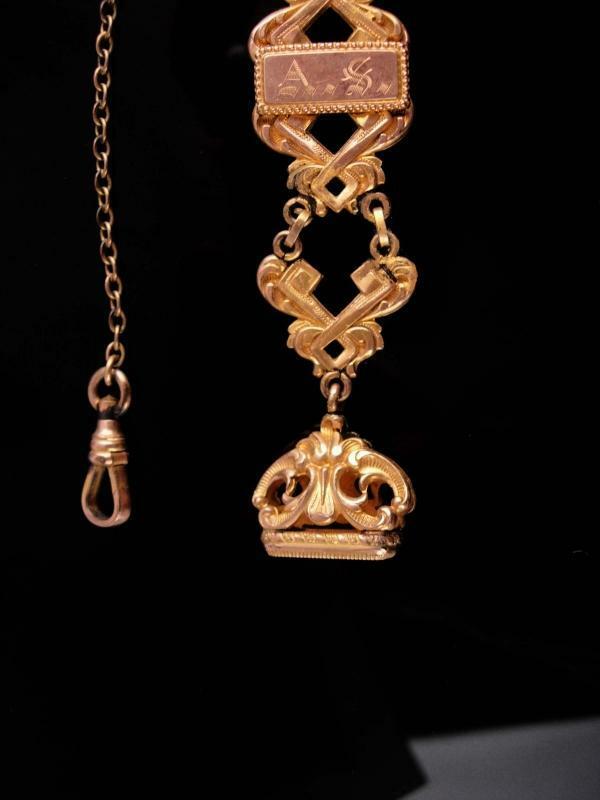 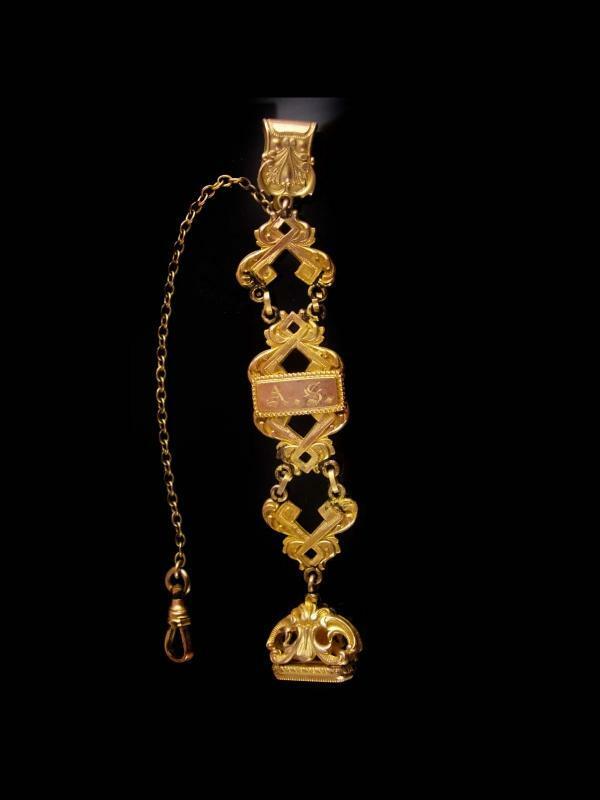 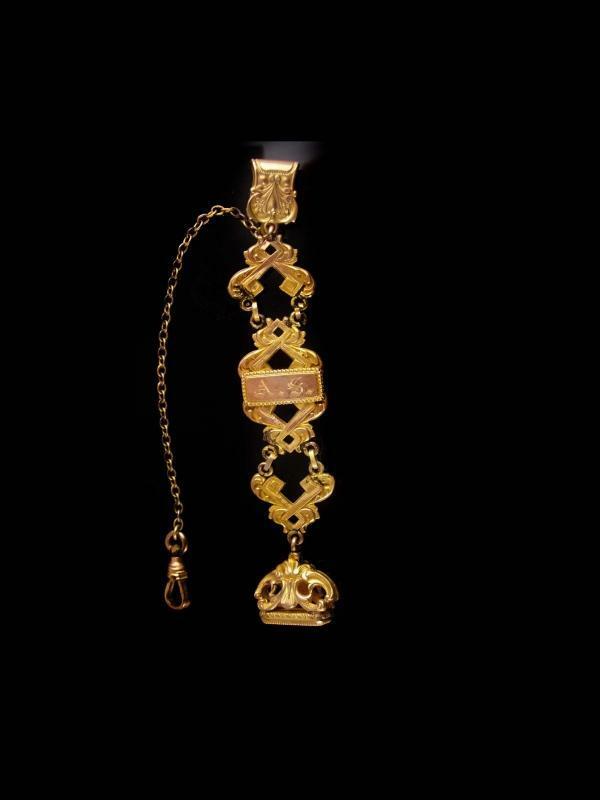 The gold plate fob is very ornate and is blank so you can take it to your favorite jeweler and have it inscribed. . As you can see it is inscribed A.S. on the front.